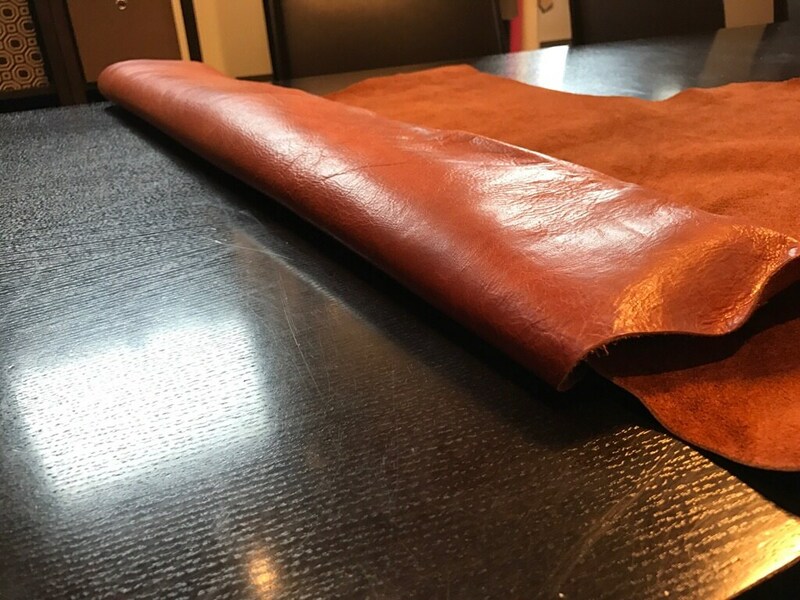 Our oil tannage leathers are natural grain skins with no pigments or grains added to the grain. We drumdye the skins to the beautiful Whiskey color, and then process them with an aniline oil/dye mix to create this "Old English" look. 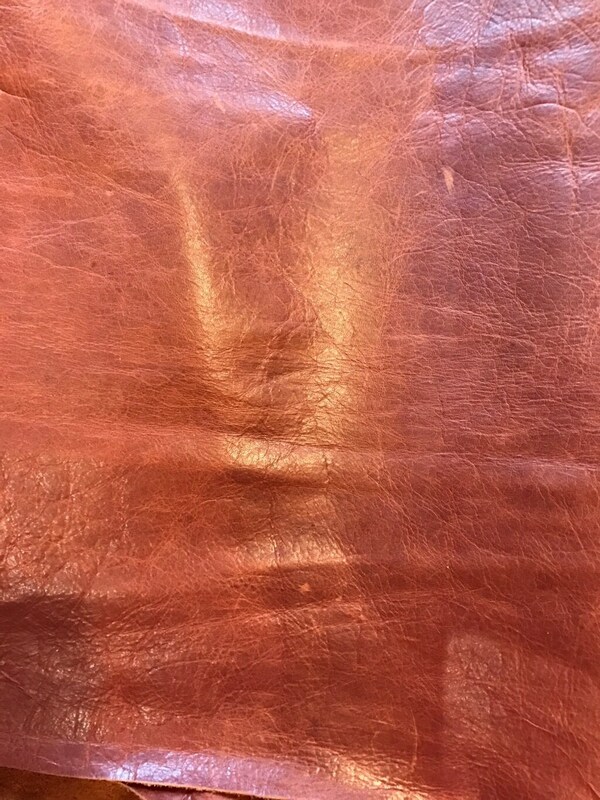 It results in a BEAUTIFUL leather as pictured above, with depth, pull-up, highs and lows, and character. With this, you must expect these natural characteristics to have shading and scratch/scab. The scratch marks retrieve to their normal state by just pressing your thumb on the spot. This is the character or distress, pull up leathers. Beautiful leather, good quality, and arrived quickly. I love this leather and a great colour.